Traditional goal setting methods are great in theory, but they often leave us feeling only a fleeting amount of pleasure when we successfully reach the goal…before we are off setting a newer and bigger goal! And of course, if we DON’T reach our goals, we become very self-critical. What happened to enjoying life along the way? So, rather than set another dodgy New Years Resolution or SMART goal, use this on-demand workshop to work out what is really important to you and how you can live in alignment EVERYDAY with your values and intentions. This will be a SMART-goal free zone! Whether you are choosing to do this workshop at the start of the year as ‘New Years Resolution’ exercise, or at any point during the year, everything within the workshop is applicable. It has been designed so that you can work through the exercises at any time. And they have been designed so you can pick them up and work through them again if things in your life change or you want to refresh or re-adjust things. 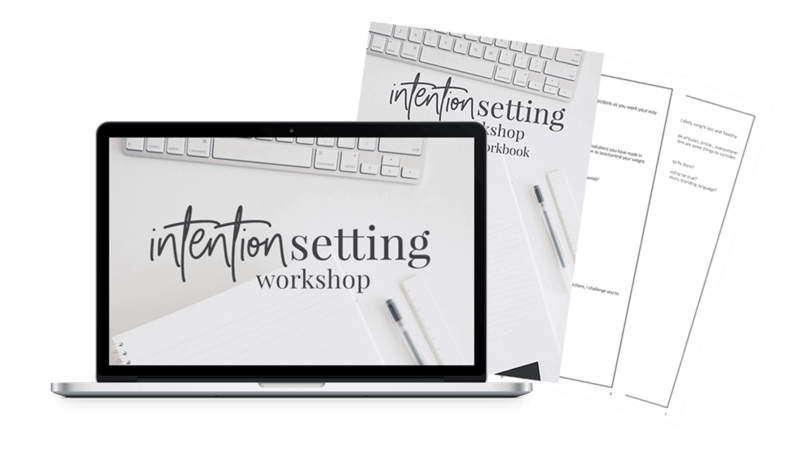 When you sign up for the workshop, you will receive instant access to the workshop recording along with a workbook full of journal prompts, activities and exercises to complete as you watch the workshop. Anyone! 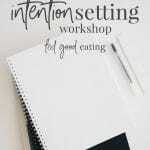 It has been designed with health/relationship to food/body image in mind, however the activities are generic enough that you can use the workshop to define your values and intentions for other areas in your life as well – whether that be your business, family or personal life. The workshop recording runs for approximately 30 minutes, however, this does not account for time spent working through the activities. This will ultimately be up to you. You will have unlimited access for the lifetime of the workshop, including any future updates, so it doesn’t matter if you can’t watch it straight away. Just log in to access it when you are ready.